When taking a dance class, it is essential to practice good etiquette to respect the other dancers in your class as well as your dance instructor. Following the rules is crucial to make sure that you’re getting the most out of every lesson so you can improve and grow in your personal abilities and talents. In this post, we’ll detail some rule and etiquette that you should always be following every time that you step into the studio. At Skyra Studios, we’re dedicated to providing incredible and excellent performing arts classes for our students. If you’re interested in enrolling your child in our kids dance classes, give us a call today! Don’t arrive without your shoes, leotard, tights, or skirt. Check your dance bag to ensure that you have everything that you need, including any tape, ribbons, or warm-ups. It’s also important to make sure that you have extra bobby pins and hair ties in case you need a few back-ups. Once your bag is prepared and ready, keep in by your front door or in the car so that you don’t accidentally forget it when leaving for class. As the old adage goes, “To be early is to be on time, and to be on time is to be late.” Respect your teacher and classmates’ time by arriving at least 10 minutes early before your class begins. This way, you will be ready to enter the studio and begin your warm-up. Arriving late will only delay your warm-up and ability to enter into the class lesson for the day, which can cause injury due to your muscles not being fully warm and limber. It’s extremely rude to walk on the studio floor with street shoes. Dance studios usually have marley floors, which can be easily scratched, scuffed, and ruined by anything other than dance shoes. You can purchase a pair of soft slippers that are appropriate for walking on dance marley that will keep your dance shoes clean. We all experience traffic jams, alarms that didn’t go off, and other life issues that cause us to be late to dance class. However, it’s extremely rude and disruptive to enter class once barre has started. It can be difficult to wait outside the studio, but it’s best to wait to enter the room until the combination has ended and there is a break. Check with your dance instructor about his or her late policy so you know the expectations if you do happen to arrive to class five or 10 minutes late. Chowing down on a tuna fish sandwich during a break will definitely be frowned upon, as will arriving to class with a giant coffee. Make sure to finish your snacks and drinks before entering the studio, and only consume energy bars and drinks outside of the studio. No one wants to pirouette through cookie crumbs or slip on a soda spill. Dance class is not the time to catch up on what everyone did last weekend or the latest gossip. Keep chatter reserved for the locker room or waiting area outside of class. Listen to your instructor and complete the combinations that he or she has planned without discussion or back talk. Also, stay on the sides of the room if you’re not participating in a combination or have already completed it so your classmates can use the mirror. The most important etiquette to follow is to give each lesson and class session 100 percent. Slacking, arriving unprepared, or just going through the motions won’t benefit you at all and will hold you back from achieving success and goals that you have set out for yourself. Exerting all of your physical and mental energy will help you to work hard and will motivate your classmates to work hard as well. Practicing proper dance class etiquette will show respect for your teacher, classmates, and the art of dance. If you or your child are interesting in enrolling in a performing arts school in Longwood, give us a call today! Dance is a wonderful way to express feeling and emotion, and to celebrate movement. There are many different forms of it across the world and countless cultures respect dance as a beautiful art form and honored tradition. At Skyra Studios, we love teaching different forms of dance and watching our students grow and thrive in the method that speaks loudest to them. Today, we’ll discuss the most popular forms of dance and the different aspects of each. If you’re searching for a dance studio in Longwood, Florida, contact Skyra Studios today! Ballet is the one of the oldest forms of dance and is the backbone of many other styles of movement. It began in the 15th century in Italy and has since become a beautiful, highly technical form of dance with its own French terminology. There are different styles of ballet, such as Russian, French, or Italian that have variations and specific steps and gestures that are unique to the particular style. With its ethereal qualities and gorgeous costuming, ballet has a way of transporting its audience to another world. In the past century or so, neoclassical and modern ballet have gained popularity and been a way to utilize different movements but while still using the principles of traditional ballet. Ballet performances often use beautiful symphonies played by live orchestras for musical accompaniment. 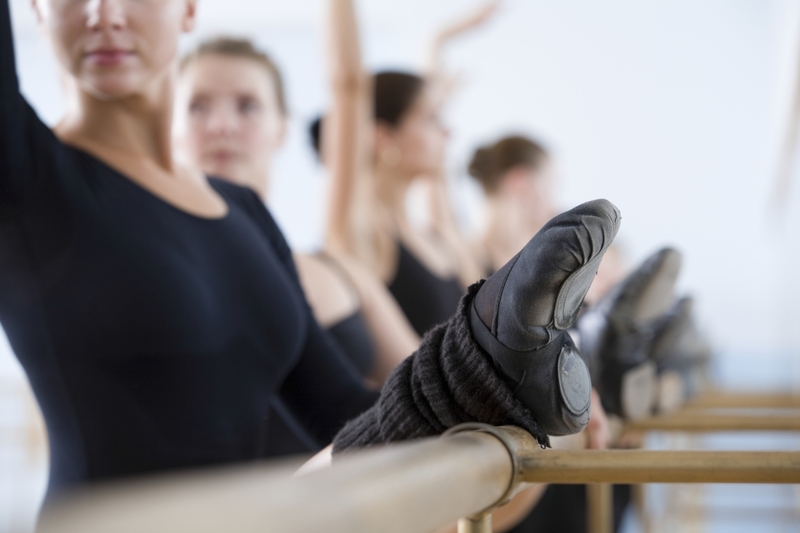 Ballet dancers must be strong, athletic, and dedicated to their craft. Becoming excellent at ballet requires many hours of classes and education in the terms, expressions, and different movements so they can be completed accurately and without flaw. Training your body to complete the movements with precision and strength takes time and faithfulness to the style. A fun and engaging form of dance, jazz is a great form of expression without the rigors of dance. It still requires grace and flexibility, but it emphasizes the nuances of body movement. There are several different characteristics of jazz and it usually incorporates the dancer’s personal style as well. It relies heavily on bold and dramatic movements along with originality and improvisation. Jazz is a perfect way for students who love to move and express themselves through dance to enjoy a genre that employs rules but also fosters creativity and individuality. The dancing is fun and energetic, making it a favorite for audiences to watch and enjoy. Audiences also appreciate the different styles of each dancer and how they choose to express different moves and steps. Tap is an exciting genre and requires students to wear special tap shoes that have metal plates on them. In tap dance classes, students are taught to create rhythms with their feet. Tap is an excellent choice for individuals who love rhythm and creating fun movements. Tap dancers stay light on their feet and tend to dance to the melodies of music, instead of the beat. They can create beats with their feet and even perform without music. Different beats are created with specific steps and classes focus on students making clear, clean tones. Tap dancing requires intense physical training and students must be fit and strong with plenty of endurance. Hip-hop is a fairly new and extremely popular form of dance. It evolved out of hip-hop culture and is a highly energetic and involved genre. It’s full of self expression and individual movements, and often many hip-hop dancers make up their own moves to add even more unique and exciting aspects to their routines. Classes usually consist of music with intense beats and teachers don’t formally “instruct” their students on hip-hop techniques. Certain moves are taught, but for the most part, free movement is encouraged and teachers will walk around and give feedback and help. Students are encouraged to perfect and hone their skills so that they can execute difficult moves with finesse and ease. Modern dance is a style of dance that rejects much of the rigors of classical ballet and focuses more on the dancer’s personal interpretations of a certain feeling, piece of music, or emotion. Emerging from the 20th century, modern dance is a physical representation of the inner feelings of the dancer, and he or she draws from experience to create movement. Dancers often perform in bare feet and simple costumes so that the audience can feel the emotion conveyed. Another aspect of modern dance is using gravity. Classical ballet requires ballerinas to appear as delicate and light on their feet as possible. Modern dance encourages dancers to use their body weight to enhance movements. The proper posture and upright body of a ballerina is exchanged for stark, deliberate movements that involve utilizing the floor as part of the expression. At Skyra Studios, we’re passionate about all of our students learning the beauty of self expression through whichever genre of dance that speaks to them. We’re proud to offer incredible classes dedicated to our students’ success and personal growth. Is your son or daughter interested in learning ballet, tap, jazz, hip-hop, or modern dance? Contact us today! Dance is an incredible opportunity for children, as it gives them physical strength, a way to express their emotions, and opportunity for growth and experience in performing. While dance classes focus on physical fitness and fortitude as well as flexibility and technique, it’s important to exercise daily and pursue other forms of physical conditioning to increase strength and reduce the possibility of injury. Enrolling your young dancer in Pilates is an excellent way to boost his or her energy and vitality for dance. Skyra Studios is proud to offer Pilates classes for all of our dancers so they will be well-rounded artists in their dance craft. If your son or daughter is currently taking dance classes, consider enrolling him or her in Pilates today! If you’re unfamiliar with the practice of Pilates, the strength training exercises were created by Joseph Pilates in the early 1900’s. The small, precise movements were designed to strengthen the body, reduce the possibility of injury, and rehabilitate damaged muscles. He worked closely with George Balanchine, a famous Russian dancer who founded The School of American Ballet and quickly gained a reputation in the dance world for his exercise methods. Pilates as a whole is an excellent form of exercise due to its low impact on the joints and concentration on the core, thus creating a strong back and midsection from where all movements originate. Many dancers use Pilates every day to keep their muscles and core in excellent shape so their craft is always being improved. As mentioned above, Pilates is a perfect way for aspiring dancers to protect themselves from incurring injury due to muscle weakness or low range of motion. Pilates focuses on fluid, controlled motions, which is an ideal method for dancers, and many of the movements are mirrored in their classes. Those who struggle with hypermobility and flexibility appreciate this exercise method as well, because the motions and movements are meant to strengthen the muscle groups to increase control and precision so that students won’t injure themselves by overstretching or over-extension. The dancer can apply the control and range of motion to their classes so that mistakes that may have been made previously will be fixed. Pilates also fosters greater flexibility, and as the individual practices the motions and exercises, strength and control will also be increased so that the dancer will be able to decrease the possibility of injury due to muscle weakness or stiffness. Sure, everyone is always trying to achieve abs of steel or that attractive six-pack, but core strength is vital to a dancer, and without it, he or she will struggle to complete moves and gestures with control and precision. Pilates is perfect for strengthening the core and back. As a dancer continues to take the exercise method, his or her core is strengthened, giving the artist more control for leaps, turns, and complicated combinations. A strong back is also vital to a dancer’s success as it provides better posture and brings a greater range of motion to the spine and arms. Understanding how muscles are linked and directly affect each other helps a dancer to focus on smaller groupings, so that specific areas that need strengthening can be worked on and the surrounding muscles that may have been working overtime to pick up the slack can rest. If you’ve ever gone to a ballet or dance performance, you’ve probably noticed that most dancers are small, thin, and lithe. Obviously, you won’t see a ballerina in a gym pumping barbells or doing squats on a weight machine. Bulky, defined muscles aren’t a dancer’s desire or aesthetic, which is why many don’t prefer to do strength training. Pilates is a wonderful exercise and strengthening option for dancers because it builds long, lean muscles. The exercise method continuously stretches the muscles, so that the muscle strands build longer rather than create bulk. Pilates also increases and builds technique, as it focuses on graceful and fluid movements that are the basis for many dance genres. As a dancer continuously commits himself or herself to the method, he or she will grow muscle memory and strength so that the technique and precision of his or her art is increased. Pilates is vital to a dancer’s career and success because it lays a groundwork of strength, muscle connection, and coordination for the dance art to build upon and thrive. The exercise method will create an equilibrium of muscle awareness and control that is extremely vital to any artist looking to continuously improve his or her technique and range of motion. A dancer can only benefit from adding Pilates into his or her daily exercise routine. Pilates is the perfect accompaniment to ballet, jazz, tap, or any other form of dance. Vital to a dancer’s success, Skyra Studios recommends the exercise method to any aspiring dancer. If your son or daughter is interested in beginning dance classes at our studios, consider enrolling him or her in Pilates as well. Contact us today for more information! If you have a young dancer in your family, chances are he or she is busy attending dance classes and practicing pirouettes, arabesques, and combinations all the time. Like any type of physical activity, it’s vital to your child’s success to make sure he or she is eating enough so he or she will have plenty of energy and stamina. We’ll discuss some building blocks for proper nutrition, as well as some important things to look out for when you’re preparing meals and snacks for your dancer. If your son or daughter is interested in taking ballet, tap, lyrical, or modern dance classes from some of the most incredible dance instructors in the United States, contact Skyra Studios LLC for for information. We proudly offer amazing dance classes for all ages. Call our helpful studio staff now! Food is fuel and is vital to the intense art of dance. Make sure that your son or daughter eats plenty of nourishing foods before and after class so that he or she will have plenty of energy. 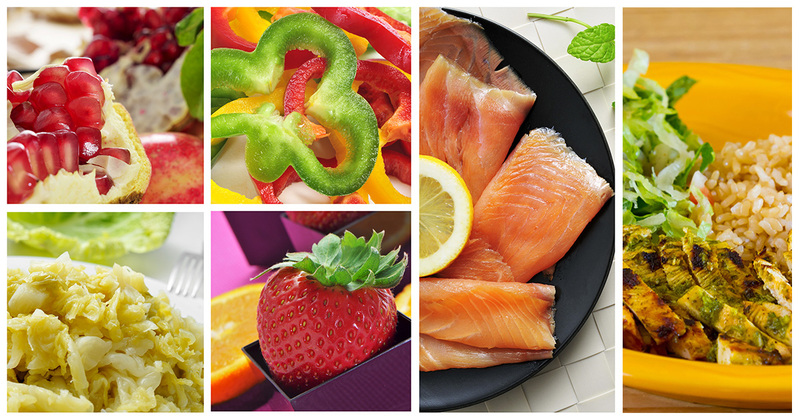 Food directly affects mood, performance, and comprehension. If your kiddo forgot to eat lunch at school and has a long dance rehearsal, he or she is going to be exhausted by the end of the day. Make sure that you pack plenty of healthy snacks and water for the rehearsal or class. Lean protein: Chicken, fish, lean beef, tofu, and other plant-based forms of protein are important for muscle growth and strength. You can supplement a lean protein source with a protein powder, but a protein powder supplement shouldn’t be the primary source of protein. Fruits and vegetables: Sliced carrots and celery sticks, apples, oranges, bananas, and berries make perfect snacks between school and dance rehearsals. Fruits and veggies are full of vital nutrients and vitamins and can be packed ahead of time for quick, healthy fuel. Complex carbohydrates: Sweet potatoes, root vegetables, whole grain bread, oatmeal, and dark leafy greens are all excellent forms of complex carbs. These are the perfect form of fuel and energy, as these carbs are slowly burned during physical activity. A piece of toast with peanut butter and banana slices or a bowl of oatmeal with berries is the ideal quick meal before or after an intense rehearsal. H2O: Drinking enough water is vital to your young dancer’s success. Pack several water bottles in his or her dance bag, or make sure that he or she has a reusable bottle that can be refilled at the studio. A daily multivitamin: While a multivitamin isn’t designed to make up for a bad diet, it can provide more nutrients for the body to work with and utilize. As mentioned before, food is fuel, and it’s important that your son or daughter eats often to keep his or her tummy full and focus strong. Provide healthy snacks during the day, and make sure that your kiddo eats a good breakfast in the morning before school. If there is time between school and dance class, make a snack to keep him or her full. This can be a yummy roast turkey sandwich, a peanut butter and banana smoothie, or a sweet potato with a grilled chicken breast. After class is over, a quick snack before bed will ensure that your child will sleep soundly and his or her body will recover well. Dance is an intense and physical activity, and should be treated as such. Eating well is essential to your kiddo’s success in dance, and using these easy tips will ensure that your child will improve and grow in the art of dance. If your son or daughter is interested in starting his or her dance education, contact Skyra Studios LLC for more information about our dance programs and classes. We can’t wait to talk to you!